I don’t particularly like jello, but I know other people do, so I decided to give it a go using this recipe from the Detoxinista as a guide. Turns out, it’s extremely easy. And since it really is just a blob of sugar, I’m sure I can choke it down. Just for the picture I used some red food coloring in a few, but I try to avoid that if I can since I eat so many Smarties and Sweetarts that I probably get my fill. If you want to know more about the potential dangers of food coloring here’s a good article. One of the ingredients I used was citric acid. Since FMers can’t use the fruit juice in the original recipe, this helps to give it that tart fruity taste. Since you only need a small amount, there are a couple of things for which you can use the rest of the citric acid. I use mine to make this non-poisonous homemade dishwasher detergent (it’s cost effective too!). Or, you can use it in one of these homemade beauty treatments. Fun! In a small mixing bowl combine the 1/4 cup of water and the gelatin and let sit. Meanwhile, boil the rest of the water and the sugar, mixing until the sugar has dissolved. Pour into the bowl containing the gelatin mixture and stir together. Add in the citric acid and optional food coloring at this point. Pour into some kind of baking dish. It doesn’t really matter what size because you can just cut it up into chunks later. Store in the fridge for 2 hours. It’s ready once the jello is firm. 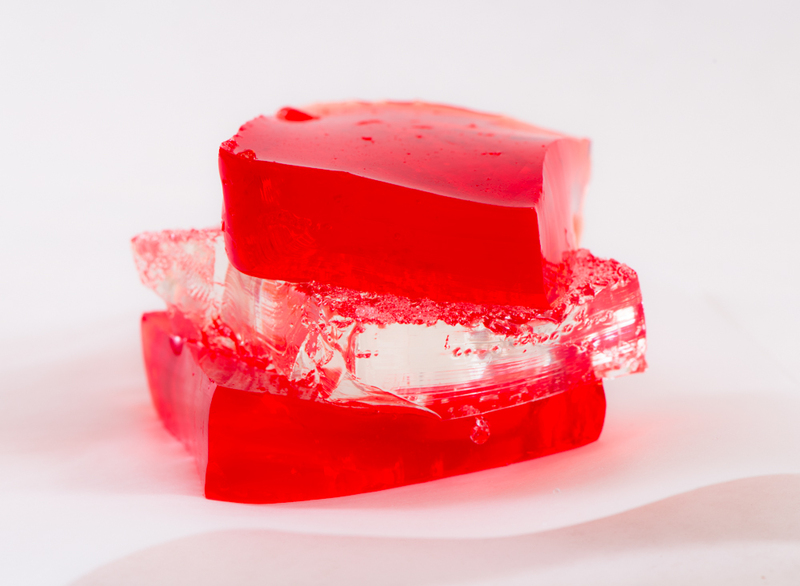 This entry was posted in Recipes and tagged citric acid, dextrose, fructose malabsorption, jello by nosugarlessgum. Bookmark the permalink. That’s a good idea. I’ve tried making rock candy with dextrose before but it didn’t work. I’ll definitely look into this and see if I can come up with something though!